Tenkar's Tavern: Kicking Off the Week - Kickstarter RoundUp for April 9, 2018 -D.A.M.N. The Heretical Dragon is with Beasts & Cannibals! Kicking Off the Week - Kickstarter RoundUp for April 9, 2018 -D.A.M.N. 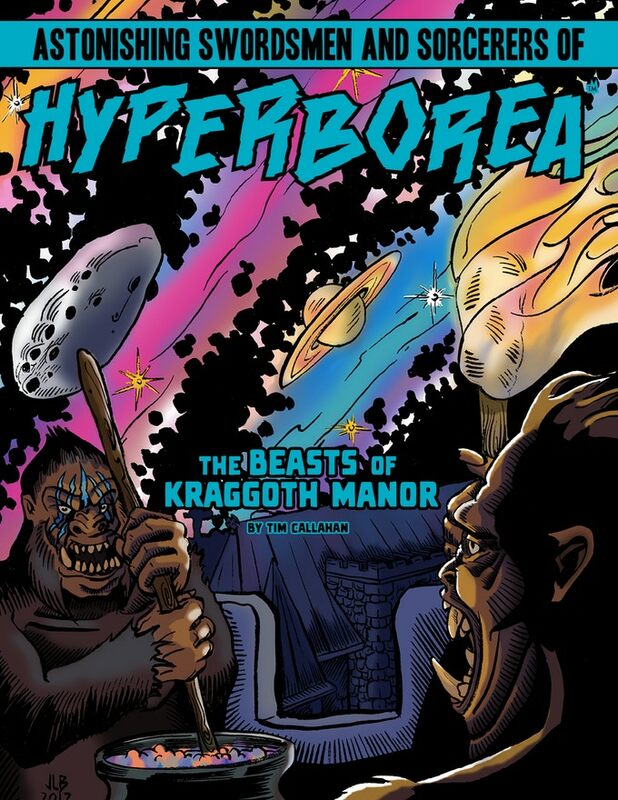 The Heretical Dragon is with Beasts & Cannibals! Yep, back to weekly Kickstarter RoundUp posts. Some I may have highlighted before, others this might be the first look. All are worthy of your time and attention. D.A.M.N. 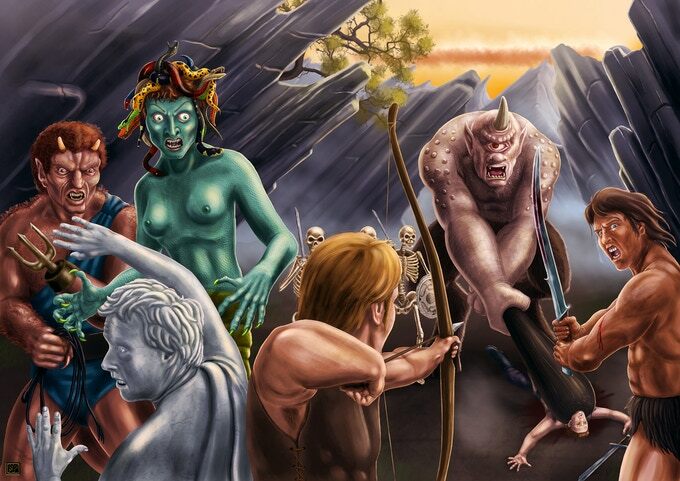 Magazine - DCC RPG Magazine and News - A DCC RPG Magazine from Paul Wolfe - three adventures (two long and one short), a new patron, previews and more. Cover by David Fisher - About 85 pages, 8 1/2" x 11", color cover and B&W interior. 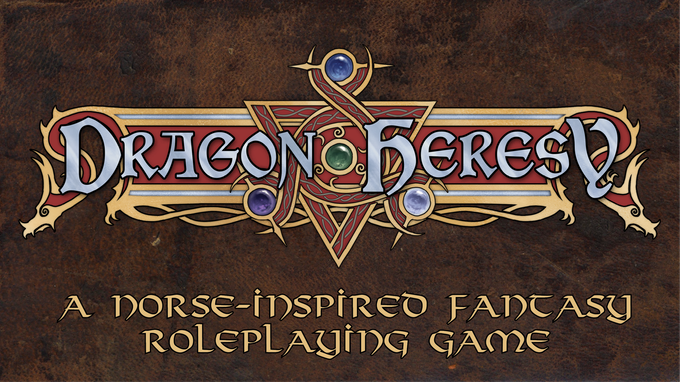 The Dragon Heresy Introductory Set Fantasy RPG - "Explore and conquer in a Norse-inspired land with Dragon Heresy, with modified 5E rules - In the Dragon Heresy Introductory set, you will find everything required to create your hero, play the game, and challenge fearsome foes. Go forth and stake your claim. Your saga starts here." 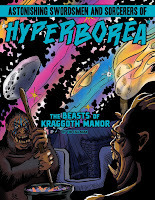 HYPERBOREA: Beasts and Cannibals - "Two new adventure modules for Astonishing Swordsmen & Sorcerers of Hyperborea (AS&SH) - From North Wind Adventures, creators of Astonishing Swordsmen & Sorcerers of Hyperborea™, come two new, exciting adventure modules for the AS&SH™ game: The Anthropophagi of Xambaala™ and The Beasts of Kraggoth Manor™"